How much of the Scottish capital can you take in over a long weekend? There is no better way to spend a bank holiday than experiencing all that Edinburgh has to offer. The Scottish capital is famous throughout the world for its iconic sites, fascinating history, stunning scenery and exciting leisure facilities. There really is no end to the things to see and do in Edinburgh. Which makes seeing everything in 72 hours a challenge. However, with our help, you’ll be able to enjoy an incredible city experience in just three short days. Ready? Then let’s get started. On your first day, you want to make sure you see all the most iconic venues and features within the city, so there is no better place to start your long weekend than the Old Town — a place of living, breathing history. The Royal Mile is one of the UK’s best known streets, simply because it is so unique. The cobbled street stretches from Edinburgh Castle at the top all the way down to the Palace of Holyroodhouse, with plenty of quirky and fascinating stops along the way. This is the heart of Edinburgh’s Old Town; full of classic pubs and bars, delightful eateries and unusual shops. From here, you can take your pick of the rest of the city’s historical sights. 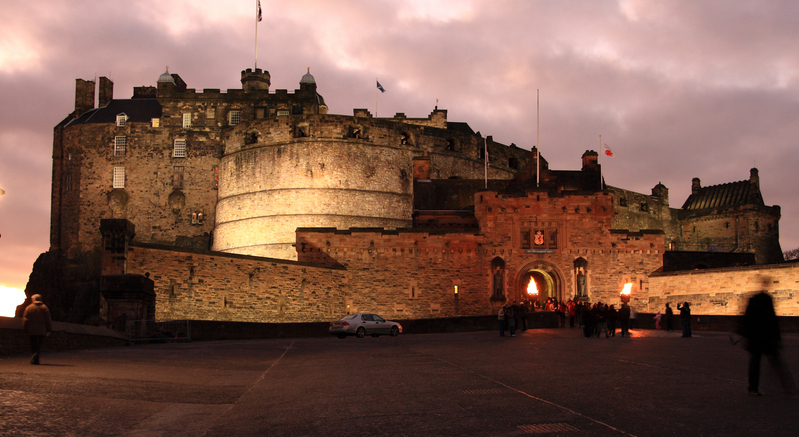 Edinburgh Castle should be your first port of call when exploring the Old Town, as you’ll want to get there around opening time at 9.30am to avoid the late morning and afternoon crowds. Here, not only will you experience the stunning views from the castle grounds, you can also lay your eyes on the Scottish Crown Jewels and the Stone of Destiny. If you’re still near the castle by lunchtime, you’ll probably hear the famous 1 o’clock Gun too. At the other end of the Royal Mile, you’ll find the Canongate and Holyrood area of the Old Town which dates back over 800 years. Here you’ll be able to view the stunning Palace of Holyroodhouse, one of the Royal Residences. A tour will show you Mary Queen of Scot’s bedchamber, and the room where David Rizzo, her confidante, was murdered. If you find your feet are getting tired form all the sightseeing, an open top bus is a great alternative. The on-board guides have a huge amount of knowledge about the capital city, offering entertaining and interesting insights which you won’t find anywhere else. You’ll also be able to get off and on at your leisure, meaning you can stop at hotspots like the Edinburgh Dungeon or Scottish Parliament. After a busy day of taking in the Old Town, stick around to wind down in one of the area’s many eateries and bars. The Deacon Brodie pub is a famous spot to enjoy a pint of Tennent’s while soaking up the city’s history. After thoroughly exploring the heart of the Old Town yesterday, today it’s time to turn your attention to the Georgian New Town and the picturesque Port of Leith. Here you can experience some of Edinburgh’s handsome high society. From Princes Street, a short ride on the number 22 Lothian Bus will take you to the Port of Leith and the Royal Yacht Britannia. Enjoy true decadence as you step on board The Queen’s former floating royal residence. You’ll be privy to all the sites from the engine room and below-deck barracks to the state apartments, dining room and even a Rolls Royce. It’s no wonder the Yacht is listed by TripAdvisor as one of the UK’s best attractions. You can also enjoy the Shore of Leith — one of the city’s most fashionable areas. After making your way back towards the city, stop off at the Royal Botanic Gardens for another taste of glorious luxury. Here’s you’ll see exhibitions, glasshouses and endless colourful plants and flowers from around the world. As it’s only a mile outside the city centre, you can then wander back to the New Town via Stockbridge — a district full of independent retailers and delicatessens. 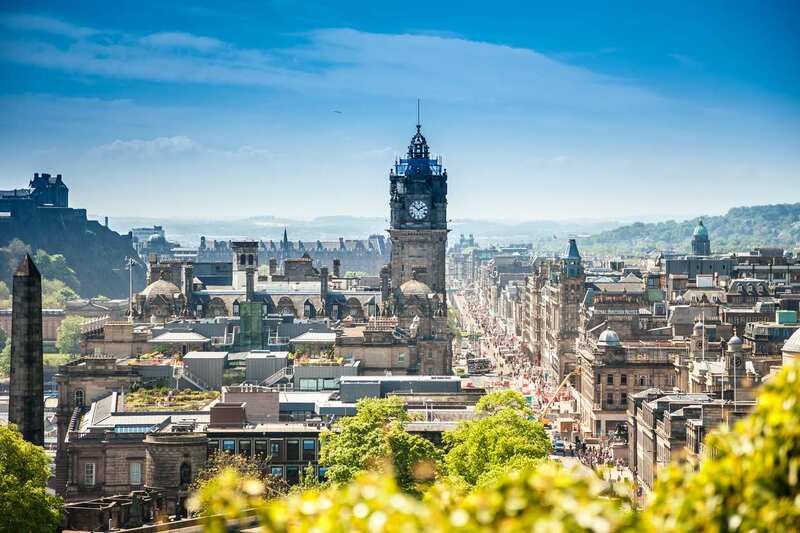 Once you’re back in the city centre, take the time to explore all that Princes Street and George Street have to offer. This is a shopaholic’s paradise! 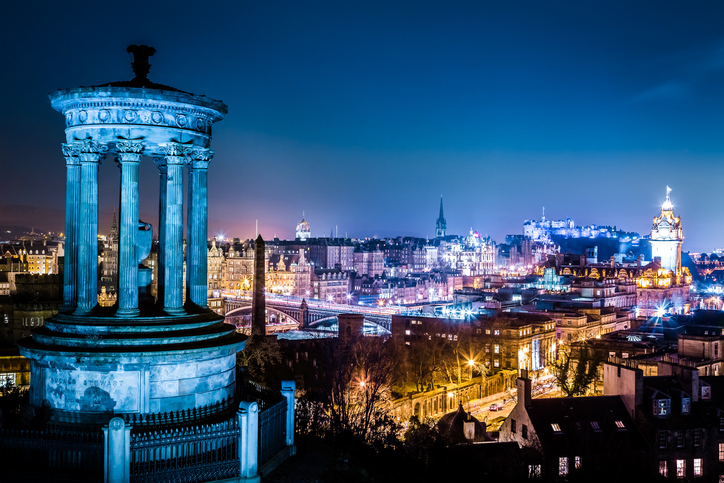 If you’d prefer something more peaceful, head east of Princes Street to Calton Hill where you can enjoy some breath taking views of the city. Or, for something cultural, explore some of the New Town’s famous museums and galleries. The Scottish National Gallery allows you to see some of the world’s greatest artworks for free. It’s been another full day of exploration, so now is the time to relax and unwind in the New Town. To beat the crowds, try exploring some of the hidden streets behind Princes Street for some delicious restaurants and exciting bars. Rose Street is particularly good for finding lots of great places to eat and drink. It’s your final day in the city, so let’s make it a good one! There is still plenty left to see and do, so make sure you put the time aside to tick off everything on your list. We think your third day should consist of brand new experiences, celebrating national favourites and discovering even more hidden treasures and historical favourites. Start your day back in the Old Town, because there is always more to see here. Start heading back up towards Edinburgh Castle, but this time take a detour to the right and enter the eye-boggling world of illusions. This haven of optical illusions and panoramic views has been delighting and fascinating the people of Edinburgh for over 150 years. After all those illusions, you could probably use a drink. Luckily, the Scottish Whisky Experience is located close by and is the perfect place to celebrate the country’s national drink with an interesting tour and a wee dram at the end. You’ll also learn all about the process of making whisky and see the world’s largest collection of Scottish whisky. Now’s the time to see some of the Old Town you might have missed on your first day. Heading down the Castle Wynd steps, you’ll soon find yourself in the Grassmarket. This historic area is full to brim with lively pubs and niche shops, and even still hosts regular markets and special events. Nearby, you’ll find the fantastic — and free — National Museum of Scotland. Here you can learn all about the story of Scotland’s history, along with exhibitions on world cultures, science, the natural world and design. You could even take an evening tour before stopping off for a nearby meal as the perfect way to round off your 72 hours in Edinburgh. When you can call the Scottish capital your home, there’s no need to rush. Craighouse is the stunning new property collection from Quartermile Developments, located in the tranquil district of Morningside. Click here to find out more.